As always we have a ton of marvellous questions this week! Personally, the cheapest good mastering I have heard that’s of high quality is about $85 a song which isn’t including manufacturing CDs or creating references, simply mastering the song and sending it back. The cheapest that I’ve got a “good result” is about $85, there may be cheaper mastering engineers, people who want to do you a favor or friends. Ultimately it’s not something you want to cheap out on. Great mastering engineers, the best in the world will charge around 4 – 5 hundred dollars an hour and maybe more. The big mastering engineers are in big rooms that are acoustically treated with massive speakers, tons of outboard as well as in the box. They are able to make massive choices and decide what they want to do try different converters, print off tape and onto tape, do all kinds of different things. You’re going to pay for that, you’re not going to only pay for that huge room and the enormous amount of equipment you are also going to pay for that guy’s ears. 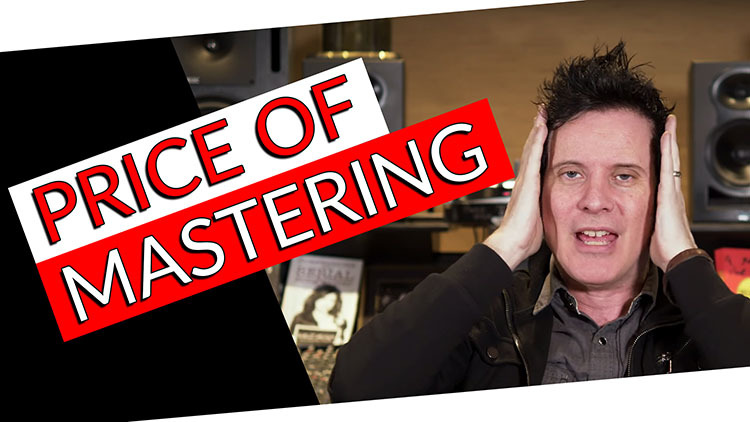 If I am going to hire Bob Ludwig, Inarguable the most successful and famous mastering engineer in the world, not to say there aren’t other amazing guy but most mastering engineers consider him to be the mastering engineers mastering engineer. Check out Bob Ludwig: The Mastering Engineer’s Mastering Engineer! So if you’re going to hire him you’re going to pay top dollar, It’s not just because they have Ozone or this plugin which are good tools. You are paying for an enormous, a massive, a huge amount of acquired knowledge. Over 50+ years of him mastering from anything from vinyl’s, cassette’s, CDs, MP3’s, Wav’s, whatever has mastered everything, he’s probably moving into Atmos as we speak. All of this stuff is being done by these top guys, so you are paying top dollar to get that massive acquired knowledge. Like anything in the arts, mastering is not always about making it loud and having booms fit. – there’s more to it. A great mastering engineer can get the volume up so it sounds competitive without it sounding crushed. Simply putting compression, EQ, Multi-band compressors and limiting on it will make it loud. With a multi-band, you may even get it nice and “even” on all frequencies. That doesn’t mean it’s going to sound good it just means that technically it will be loud and somewhat mushy sounding.